Our USB over IP solutions allow to share and access any USB device over local network or Internet. Use remote USB devices as if they are directly plugged into your PC! 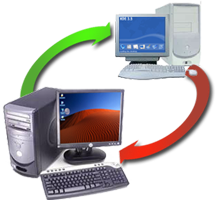 If you are Remote Desktop user, you can use your USB devices on remote Terminal Server or Virtual Machine as if they are plugged into it locally. With USB Redirector for Windows and USB Redirector for Linux you can redirect USB devices between different operating systems without limitations. In this release we added support of newer kernels, implemented support for FreeRDP 2.0rc3, improved performance with mass storage devices and fixed some annoying bugs. Please feel free to check all changes and Download! 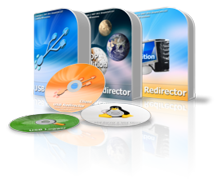 We are happy to announce the newest version of our USB Redirector product line for Windows! It is a recommended update for all users, as it contains a number of important fixes, improves program reliability and performance. See full list of changes and feel free to Download! Licensed users who own a license for a corresponding major version can update for free! If you want to update from one of the previous major versions, please click the button below. This is a bug fixing release that fixes some issues with scanner detection and black borders. It is a free update for all licensed users of v1 and v2! See all changes and Download Now! This version adds support of UPnP for automatic port forwarding setup (subject to router model) and greatly improves stability. Special offer for software and hardware manufacturers. Integrate our technology into your product! Special offer for the professionals who provide remote flashing and servicing of USB devices. 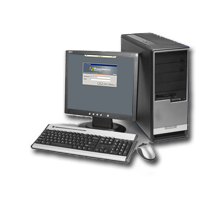 With our Scan Redirector product you can easily scan documents inside Remote Desktop session from any TWAIN or WIA-compatible scanner. Incentives Pro is a division of SimplyCore LLC. Copyright © 2007-2018 SimplyCore LLC. All rights reserved.